The recent announcement in Mumbai about establishing Krea University in Andhra Pradesh has greater significance than just another liberal arts and sciences institution coming up in India. The recent announcement in Mumbai about establishing Krea University in Andhra Pradesh has greater significance than just another liberal arts and sciences institution coming up in India. 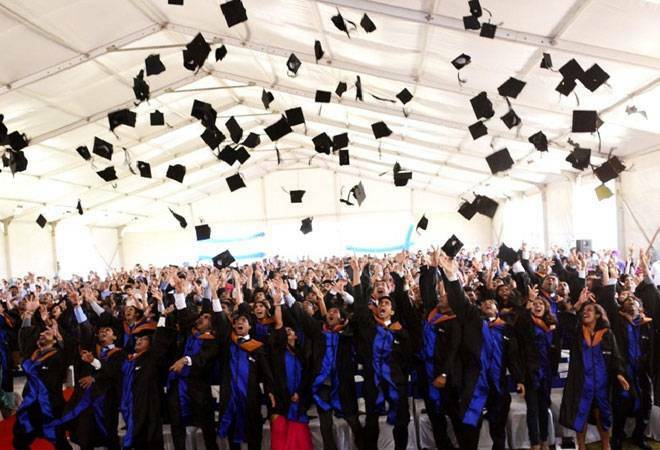 Indeed, look back at the past few years, and the founding of institutions like the Ashoka University and the Indian School of Business (ISB), and you begin to see the slow maturing of a new model of educational institutions in the country. It stands on the foundation of a collective philanthropy model where like -minded philanthropists, academicians and thinkers join forces. Best brains spare their invaluable time and the ultra rich donate funds. Consider the people that Krea has been able to bring together: There is R Seshasayee, Chairman of IndusInd Bank; former banker N Vaghul; Sajjan Jindal, Chairman of the JSW Group; Anand Mahindra, Chairman , Mahindra Group; Kiran Mazumdar-Shaw, Chairperson and Managing Director, Biocon, among others, apart from the backing of the Institute of Financial Management and Research (IFMR). It has also been able to rope in Raghuram Rajan as advisor, former governor of the Reserve Bank of India and currently the professor of finance at the University of Chicago Booth School of Business. Look at Ashoka University that was set up in 2014. It today boasts of over 90 founders - who have pooled in over Rs 750 crore to support the institution - and "best faculty members who have left their teaching career at top colleges abroad to come and teach at Ashoka." In fact, the idea of what a model of collective philanthropy could do for institution building was germinating around late 1990s and took some shape in 1998 when a group of leading Indian corporate leaders - the likes of Anil Ambani, Rahul Bajaj, Adi Godrej, Y. C. Deveshwar, K. V. Kamath, among others - met Nara Chandrababu Naidu, the chief minister of the then united Andhra Pradesh at his residence and told waiting reporters there that a global business school was to come up in Hyderabad. The ISB has been funded entirely by private corporations, foundations and high networth individuals. But despite huge corporate backing, there was all round scepticism around the model in early 2000 and, to top it all, the school was offering a one year MBA and lateral placement, which was a relatively new concept, as against the more popular two year format that the top management institutes of India like the Indian Institute of Managements (IIMs) offered. The anxiety back then of how the model would take off was apparent to anyone who had seen Pramath Raj Sinha, the founding dean of the Indian School of Business, leaving no stone unturned and writing to each and every potential recruiter to ensure the message about the school and its strengths was conveyed. Pramath Raj Sinha, who later co-founded Ashoka University, is today happy about Krea and says: "We want more high quality institutions in India to be built and to succeed." But did the founders at Krea not seek the help of Ashoka? "Yes, they have sought our inputs and we have been very open," he says. But then, what stopped Ashoka from setting up a second campus if the country needed more such institutions ? Sinha feels Ashoka is, at the moment, internally focused and is keen to work its way up to become the best in the country and therefore a second campus would be a distraction. Now, it is upto Krea to make a success of the backing of talent and resources that it has. Apparently, the first phase would entail an investment of around Rs 750 crore and a large part of it has already been committed. Things will start unfolding from November this year when it begins the process of opening up for admissions and the first batch commences from mid 2019.